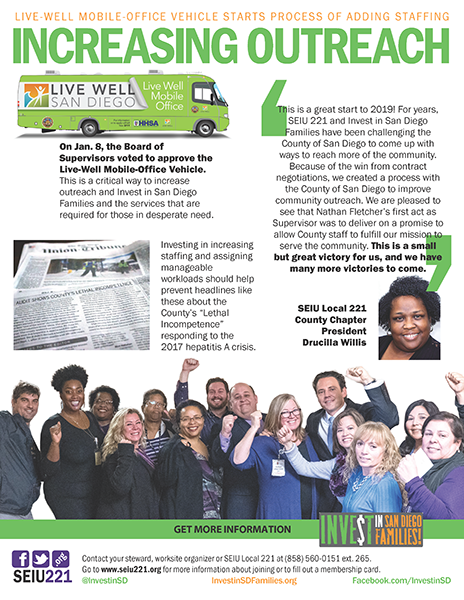 On Jan. 8, the Board of Supervisors voted to approve the Live-Well Mobile-Office Vehicle. This is a critical way to increase outreach and Invest in San Diego Families and the services that are required for those in desperate need. 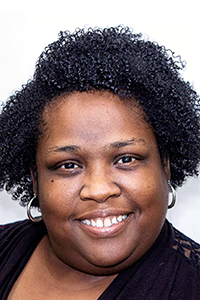 “This is a great start to 2019!” said SEIU Local 221 County Chapter President Drucilla Willis. “For years, SEIU 221 and Invest in San Diego Families have been challenging the County of San Diego to come up with ways to reach more of the community. Because of the win from contract negotiations, we created a process with the County of San Diego to improve community outreach. Investing in increasing staffing and assigning manageable workloads should help prevent headlines like these about the County’s “Lethal Incompetence” responding to the 2017 hepatitis A crisis. P.S. Know union holdouts at your worksite? Give them and yourself the gift of worker power by getting them to become members now. You can even use this calculator to show them that an investment in a strong union pays dividends for their career. It is easy to become a member, and they can do it online by clicking here.